Television shows are a fantastic inspiration for Halloween costumes. For such a fun and spooky time of year, one of the most perfect television shows to consider when creating your Halloween costume is the classic and funny, The Addams Family. Here are a few Addams Family Halloween costume ideas to guide you along the path of creating the ultimate getup for this year's trick or treating or party. For a classic Gomez costume, you'll need to become a sharp-dressed (creepy) man. The ultimate in Gomez attire is a striped black and gray suit and white dress shirt. This is accented with a red bow tie and a light gray handkerchief that's folded into a pocket square. If this color of suit is hard to come by, a simple black suit (with sharply ironed shirt cuffs exposed) will do. Add in a black tie and shiny, spiffy black dress shoes. To top off the Gomez look, apply a light layer of white makeup mixed in with regular-toned foundation to achieve the classic Addams pallor. (You'll want to do this with all of the Addams Family costumes.) Complete your Gomez costume by slicking back your hair and drawing on a pencil mustache with black eyeliner. You can go all-out with a Morticia costume, sewing a black dress with flowing sleeves and a long, black train. For an easier costume that you can quickly put together yourself, look for a form-fitting, long-sleeved black dress or pair a black U or V-neck long-sleeved T-shirt with a long black skirt. Part of Morticia's signature look is her long, straight, black hair. If you don't naturally have this, you'll need to find a wig to suit. A sleek, shiny wig will best fit Morticia's glamorous look. Next comes the makeup. After you've used white makeup to achieve the creepy pale effect, use a shiny white eyeshadow along the majority of your lid and then outline your crease all the way across with grey eyeshadow. You'll have to play with it a bit to get the proper blended effect. Use black eyeliner to line your eyes all the way around, adding in tiny cat's eye accents on the outer edges. Amplify your cheek bones by brushing on light brown makeup. Finally, apply bright red lipstick (and nail polish) to finish the look. A deadpan, chilling Wednesday is perhaps one of the easiest costumes to create. You will need to search for a Catholic schoolgirl costume in black, but beyond that, all you need is long dark hair braided into two pigtails. (You can find wigs that will help you achieve this look without learning how to braid.) Wear a pair of chunky black heels or ankle-high boots. Add in the signature Addams family paleness and do not smile-no matter what! 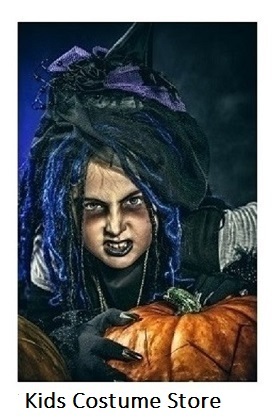 If Wednesday has a brother, male friend, or spouse attending the party with her, why not dress him up as Pugsley? He'll need a short-sleeved white T-shirt with horizontal black stripes. These are easy to find online. A pair of black, knee-length shorts, tall black socks, and black shoes complete the costume. Don't forget the white makeup to pale Pugsley out a bit.